A 6 night golf package staying at a top quality 4 star resort and playing some of the best golf courses in the exotic Kingdom of Thailand. Red Mountain Golf Club is the newest golf course in Phuket. The course layout has been routed to take advantage of the dramatic elevation changes while reminders of the tin mining era have been imaginatively incorporated with spectacular holes sculpted into, and through rugged rock cliffs and canyons. Red Mountain allows players of all levels the chance to enjoy a great golfing experience. Fairways are grassed with Seashore Paspalum and Bermuda grass on subtle breaking greens which are true and fast. Water comes into play on numerous holes and every hole on the course will present you with different challenge. From the highest points on the course you can experience stunning views of Phuket. Red Mountain Golf Club was voted amongst the top three new courses in Asia in 2007 and it is easy to see why. The course is an inspiration to play and a wonderful golf design, which has already led to comparisons to the world's best. Nestled below a range of mountainous peaks, the course is designed around Crystal Lake, the largest in Phuket covering some 48 acres. Loch Palm has dramatic elevations and drops throughout its layout giving an opportunity to test the skill levels of all golfers. The front nine winds around Crystal Lake until you reach the turn where the back nine tracks up into the mountains. From the tee, fairway landing areas are quite generous but wayward shots will be punished by strategically placed bunkers. Having recently undergone significant renovation, the Loch Palm Golf Course layout, design, and condition now rivals the best Phuket has to offer. With an informal atmosphere, excellent service and friendly staff it's easy to see why Loch Palm Golf Club is known as "the most relaxing golf course in Phuket". The Laguna Phuket Golf Club is located on the west coast of Phuket. It boasts an excellent golf course in the beautiful surroundings of Bang Tao beach. The course has just undergone a multimilliion dollar redesign and renovation and is now one of the best golf courses in Asia. The course meanders through a labyrinth of lagoons that requires golfers to play with accuracy. The course features gently undulating fairways, large greens and a number of attractive lagoons with water coming into play on numerous holes. The Thai style clubhouse at Laguna Phuket Golf Club was voted in the Top Ten Best Clubhouses in Asia by readers of Asian Golf Monthly magazine in 2006. The Banyan restaurant provides both air-conditioned and open-air seating overlooking the golf course, featuring a broad selection of fine Western and Thai cuisine. The Laguna Phuket Golf Club has received numerous golf industry awards and will provide a memorable golfing experience. The KEE Resort & Spa is a Thai-owned avant garde tropical retreat with a vast lagoon-like swimming pool and contemporary Sino-Portuguese theme in the heart of Thailand's most popular tourist destination. Comprising 244 guest rooms, a spa and several dining outlets, The KEE Resort & Spa features a wide range of high-tech communication facilities and automated services of international standards to ensure convenience for holiday makers. 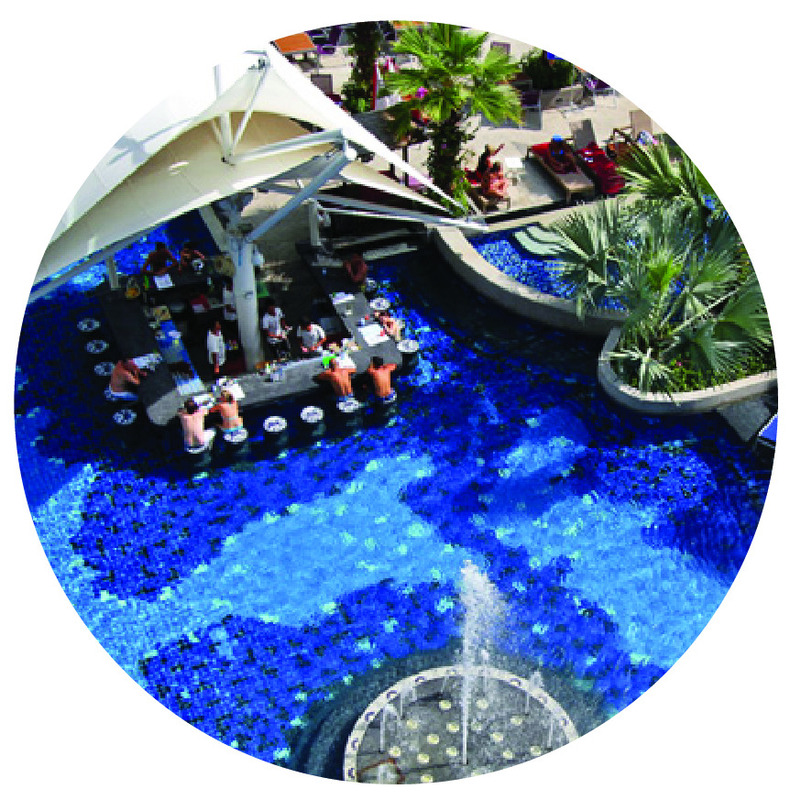 Our unique dining venues in the heart of Patong offer a variety of truly innovative and traditional dining experiences. Whether you're hungry for taste of home or want to explore something completely different, you can discover a different dining experience every day at the KEE Resort. The Deluxe Pool View rooms have spacious double and twin-bed pool view rooms (40m²) in various colour schemes overlooking the KEE Resort's lagoon-like swimming pool with private balcony and all the standard facilities you'd expect to find in a modern resort. Return airfares from Australian can be included in the package on application. All inclusions: Prices are per person in Australian dollars. International Golf Specialists offer a full range of custom golf packages. Contact our team today to ensure a “great golfing experience”!